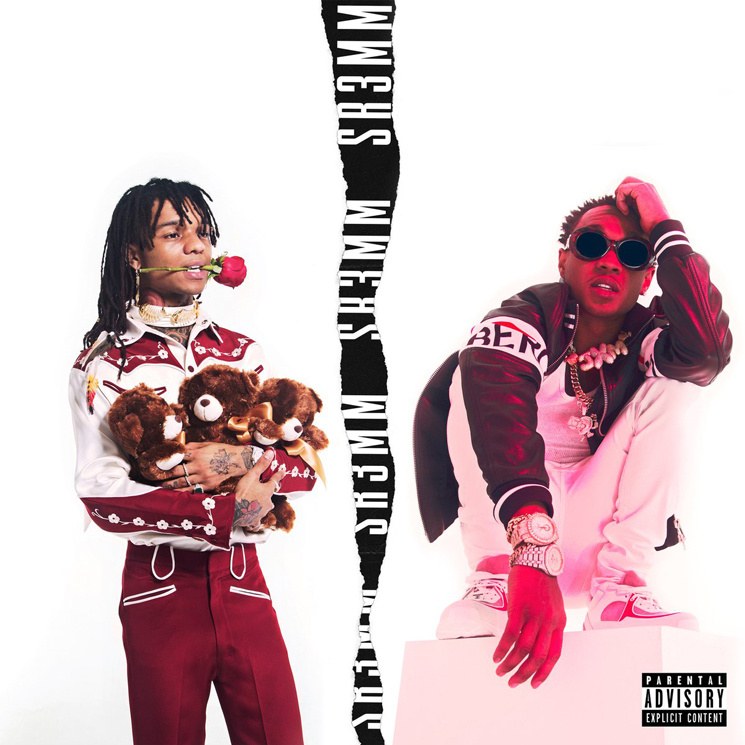 Rae Sremmurd's ambitious triple-disc LP SR3MM arrives at the end of this week, and after revealing the artwork on Monday (April 30), the brothers have now shared the tracklists of all three albums. All three discs feature nine songs each. Slim Jxmmi's Jxmtro features brother Swae Lee, Zoë Kravitz, Pharrell, Trouble and Riff 3X. Swae Lee's Swaecation sports a lone feature from Young Thug. Main group LP SR3MM features the previously released "Close" and "Powerglide," which feature Travis Scott and Juicy J, respectively. Elsewhere, Future assists on a track titled "Buckets (Balling) while the Weeknd will lend his vocals to "Bedtime Stories." The previously released singles "Perplexing Pegasus" and "T'd Up" also appear on SR3MM. You can find a complete tracklist breakdown below. SR3MM, Jxmtro and Swaecation all arrive on Friday (May 4). 9. What's In Your Heart? Future Shares Video for "Goin Dummi"
Watch Future's Video for "Never Stop"
Juicy J and Travis Scott Share Video for "Neighbor"
​Travis Scott Joins Juicy J on New Track "Neighbor"